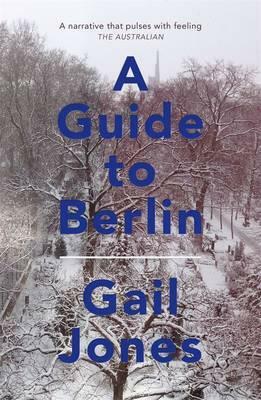 Gail Jones discusses her latest novel, A Guide to Berlin, with David Haworth. David Haworth: This is your second novel in a row that borrows its title from a previously existing work – in this case a story by Nabokov –and also vividly evokes a particular city. In very Nabokovian fashion, the novel is brimming with small, tender details – one could call them easter eggs –which seem specifically designed for lovers of Nabokov and lovers of Berlin. What drew you both to Nabokov and to Berlin in the writing of this novel? DH: One thing that struck me while reading the novel is your dedication to exploring the world of ‘things’, and the ways that everyday objects can absorb meaning, memory and history. In addition to describing what you call the ‘Nabokovian regard for the weird vibrancy of things’, you also explore the Japanese concept of mono no aware. Could you elaborate on what mono no aware means to you? GJ: Mono no aware refers in particular to the beauty of frail or transient things, so that it invokes both lovely melancholy and deep contemplation. I’m attracted to Japanese aesthetic principles in relation to considering certain things in the world; these principles assume not consumption, or even desire, as central precepts of encounter, but intimacy, integrity and simplicity of understanding – a kind of meditative attitude to the moments of tenderness we feel – watching afternoon light disappear, or blossoms fall, or the dissolution of footprints in falling rain. Very romantic and anti-modern, in some ways. So yes, I’m interested in things and re-imagining subject–object relations, but also in fleeting moments in which we are intercepted by a special sense of self in relation to time. DH: Many of the characters have a connection to a particular historical calamity, such as the Holocaust or the 1995 Tokyo subway attack. It’s interesting, though, that often it’s an indirect connection to the historical event rather than direct experience of it. Is there something about this peripheral experience of history that interests you? GJ: I think this novel is in part a serious contemplation on historical knowledge: how do we know the past? How do we engage with our own pasts, and those of our families, let alone the densely historical … Berlin is full of historical museums – orderly and calm – but there are other apprehensions of historical understanding that feel much more disordered, personal and interruptive. As you say, there’s also a sense here of the peculiar charge, often personal, of peripheral histories, the ways in which tangential relations might be real relations, and deeply affecting. Reading Holocaust memoirs reminds me that there are dangers here, too, that in what has been called ‘empathetic unsettlement’ we must not forget who the real historical victims are. But I do believe that affective responses may also link to ethical understandings, and this is an issue I wanted to think about. DH: Like Nabokov, Borges or Calvino, you sometimes refer to ‘phantom literature’: other books or writers that don’t actually exist. You describe the childhood fantasies devised by one character and his sisters, which reminded me of the Brontë juvenilia, but also make repeated references to another ‘Guide to Berlin’ being written by another character. Is there any relationship between these three separate and rather idiosyncratic ‘Guides’ to Berlin: Nabokov’s story, your novel and your character’s work-in-progress? GJ: Yes, there are three Guides to Berlin implicated here, but also, in a sense, an infinite number: there is no supremely authoritative guide to any city or history. Originally I’d planned to include part of the invented Guide as one of the chapters in the novel, but decided that it was better, in the end, left as one of the unsolved (or untold) enigmas of the text. I did have the Brontës in mind when I was insisting that close siblings might create a narrative world of preposterous and ingenious invention; indeed that the creative capacities of children’s stories don’t always persist into adulthood. DH: Lastly, something your fiction has always shared with Nabokov’s writing has been the use of precise, sensuous imagery, and that is on full display in this novel, especially in your piercing description of the weather in Berlin as winter progresses, which includes a brilliant evocation of snow from a snow-deprived, Antipodean perspective. It’s also revealed that a cyclone plays an important role in one character’s personal history. Why is the weather such a potent force in this novel? GJ: My first real stay in Berlin was in the winter of 2013, an exceptionally cold winter. So the novel is actually set in that winter, during which, at that time, there was a tent city of refugees also in the centre of the city. I’m interested in the radical transformation of the world in a European winter – something most Australians have not experienced growing up here – and the way this strangely enlivens perceptions of both mortality and of aesthetic experience. Australia is also, of course, a place of extreme weather events – bushfires, cyclones, floods and so on. These are markers of suffering, but often beguilingly beautiful as well: I was trying in part to think through this kind of contradiction. Gail Jones is the author of two short-story collections, a critical monograph, and the novels Black Mirror, Sixty Lights, Dreams of Speaking, Sorry and Five Bells. Three times shortlisted for the Miles Franklin Award, her prizes include the WA Premier’s Award for Fiction, the Nita B. Kibble Award, the Steele Rudd Award, the Age Book of the Year Award, the Adelaide Festival Award for Fiction and the ASAL Gold Medal. She has also been shortlisted for international awards, including the IMPAC and the Prix Femina. Her fiction has been translated into nine languages. David Haworth is a freelance writer and a doctoral candidate in the School of Culture and Communication at the University of Melbourne. His doctoral research explores the relations between nature and art in twentieth-century literature and visual culture.